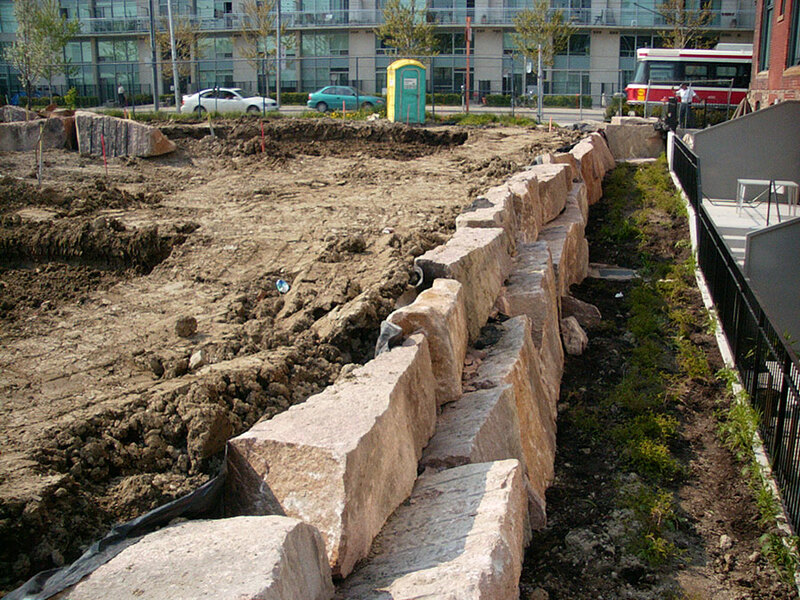 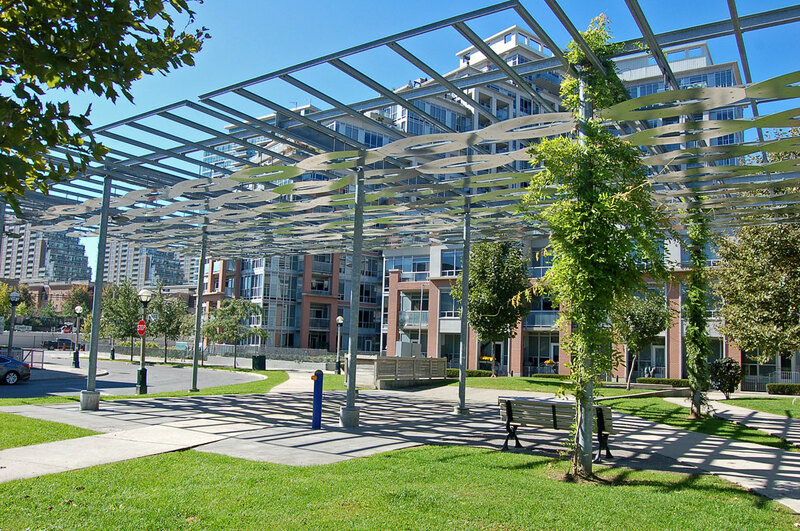 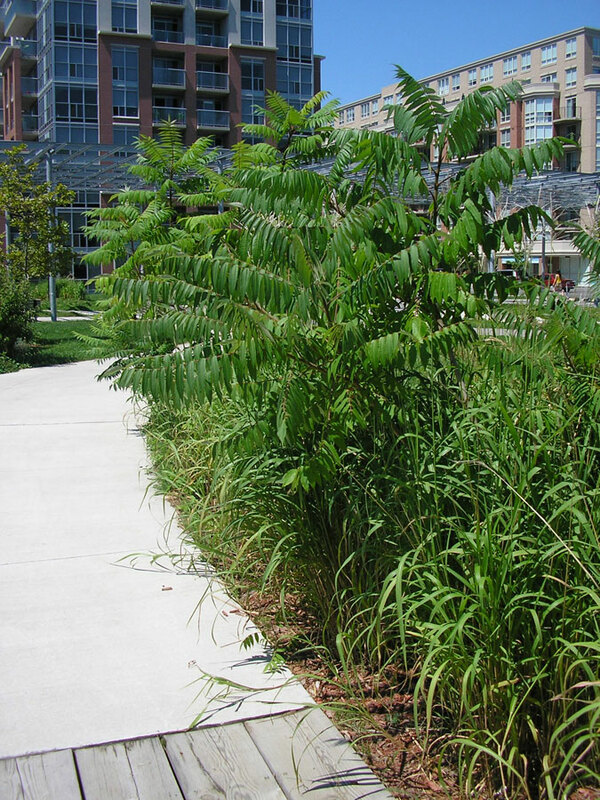 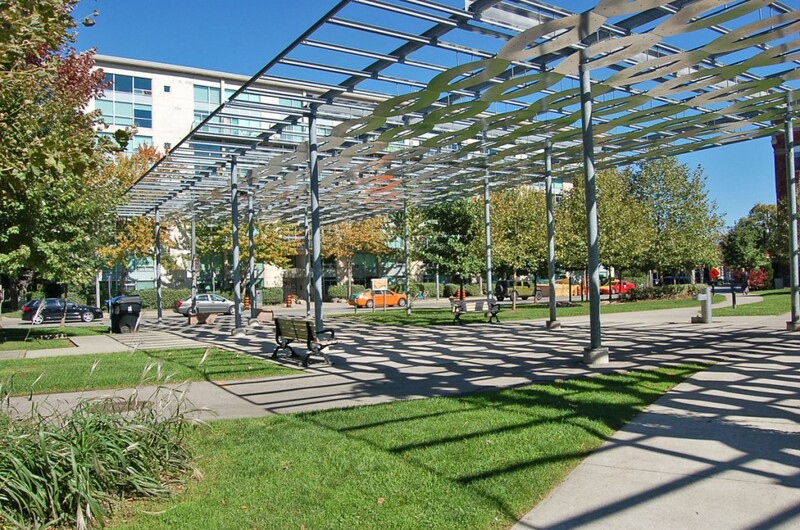 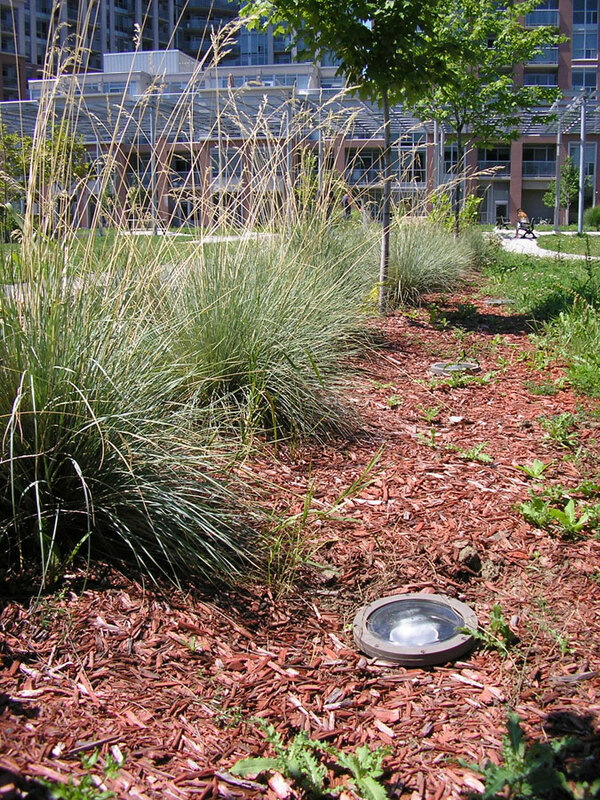 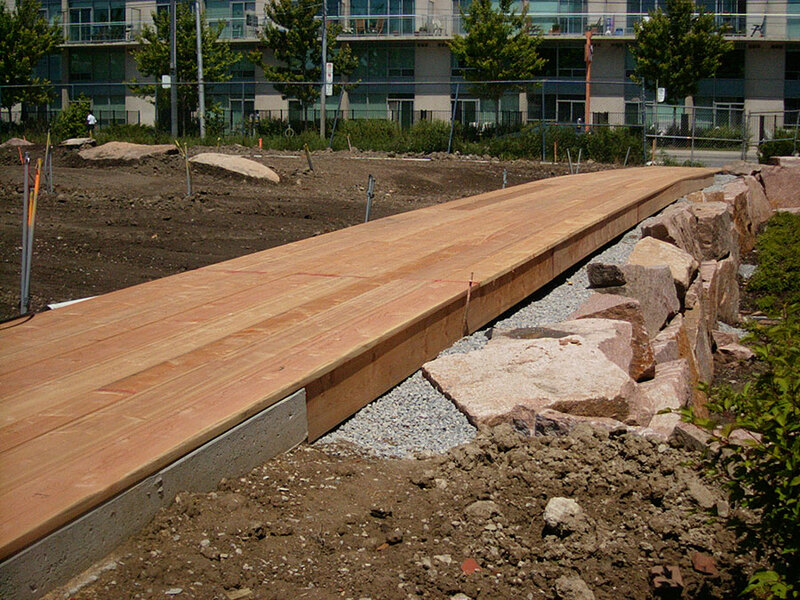 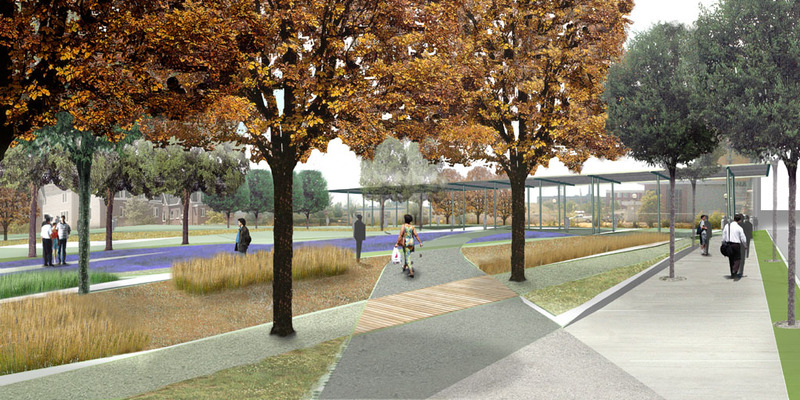 Occupying a small site in a rapidly changing downtown neighbourhood, Massey Harris Park is an urban oasis. 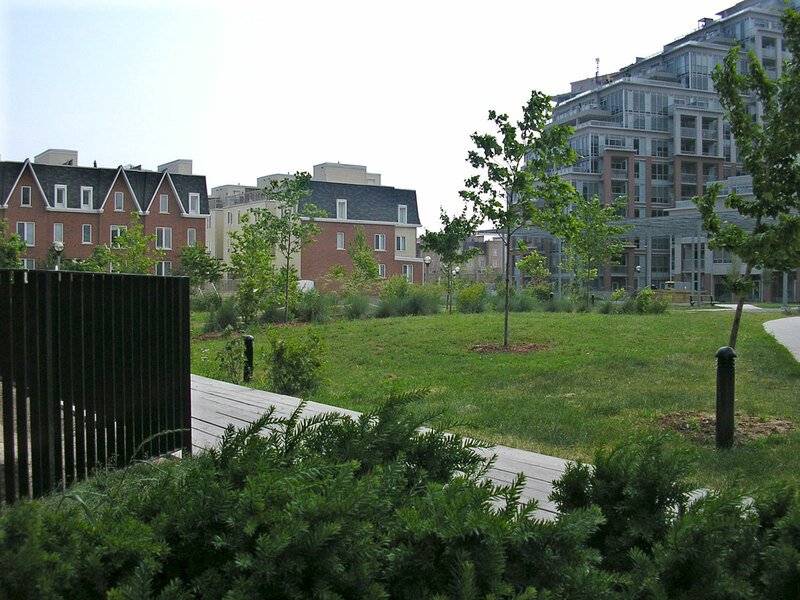 The community it serves is sophisticated, diverse and fast-growing, but until the insertion of this park it had been a neighbourhood without a place to call its own. 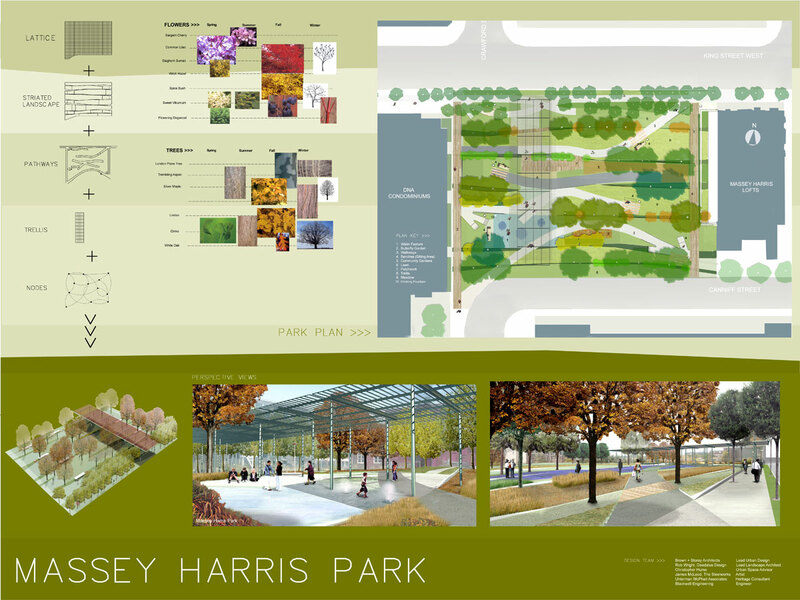 Massey Harris Park became that place, a local gathering spot for young and old as well as a way to get from one point to another. 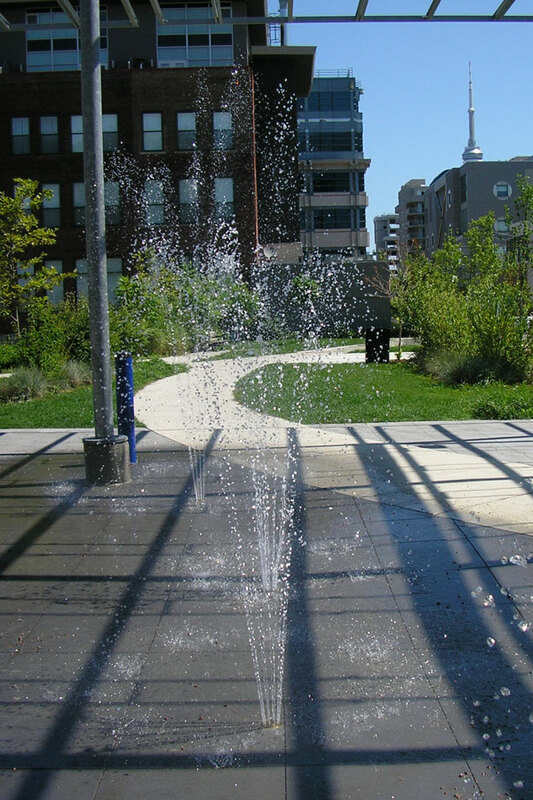 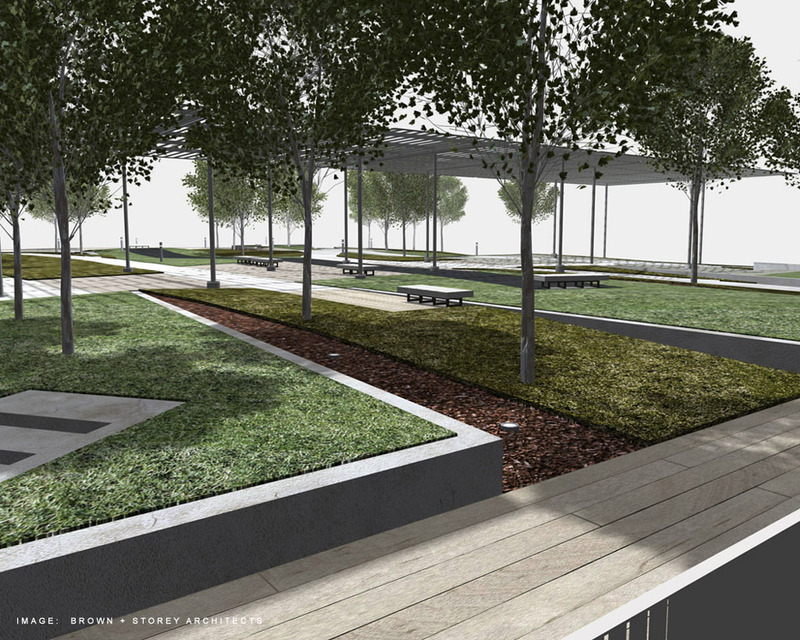 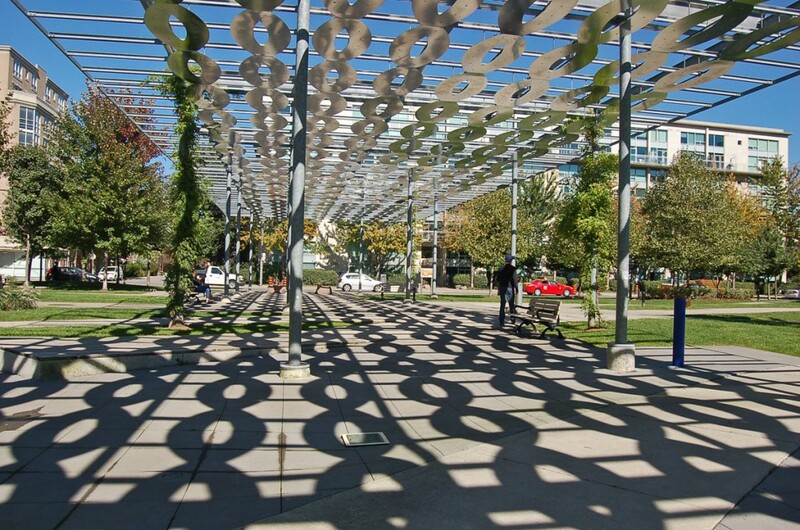 Bordered by condominiums and busy King Street West, the park is conceived as a multi-layered space. 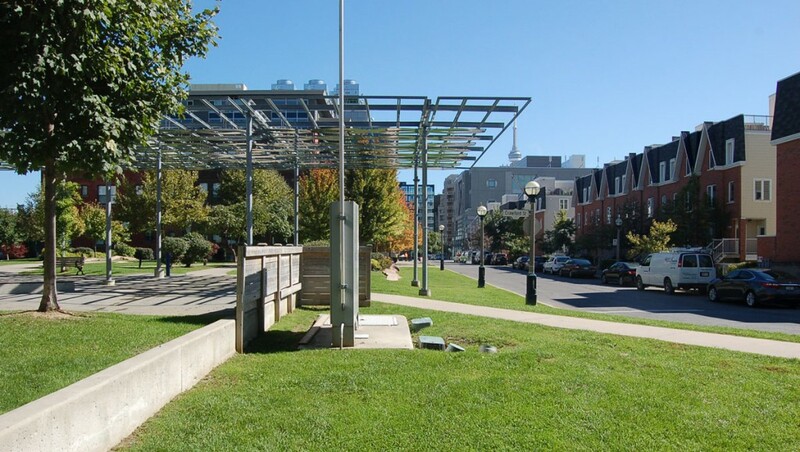 It contains many traditional park elements – trees, a trellis, flowers, fountains, grass, paths – but these are reconfigured to meet the needs of 21st century city life: a wide variety of users and expectations ranging from the most casual to formal community events. 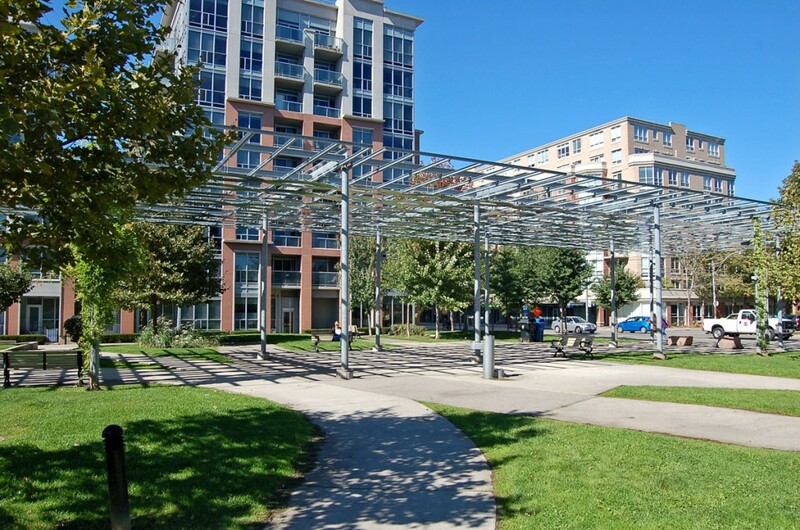 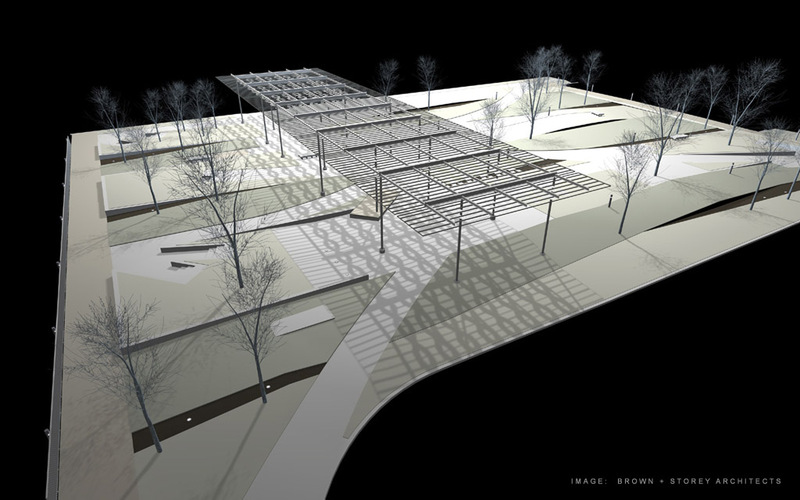 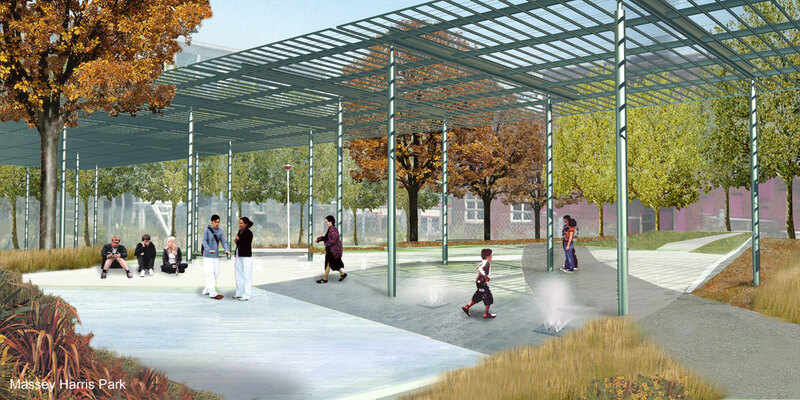 A large trellis bisects the park on a north-south axis, providing shelter and a focal point for impromptu and organized activities. 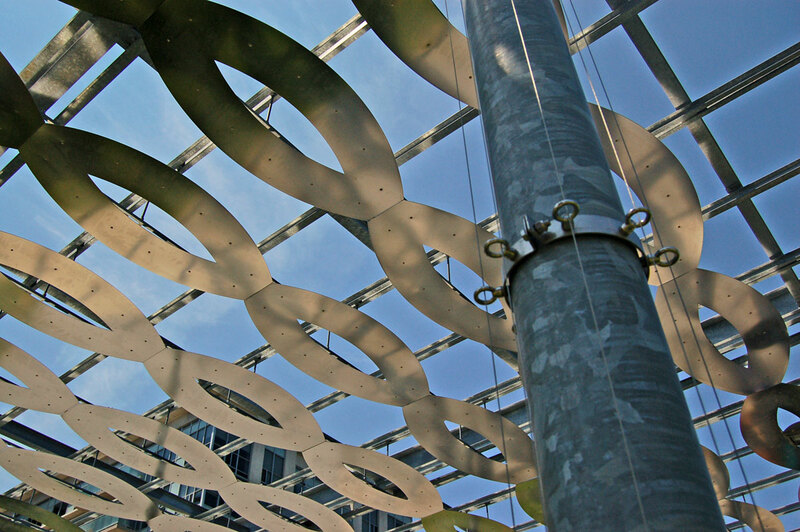 As a structure, the trellis supports various lighting devices as well as vines and other climbing plants. It is also an artwork installed in collaboration with artist James McLeod, highlighted with a reflective roof whose colour and character changes with the time of day and season. 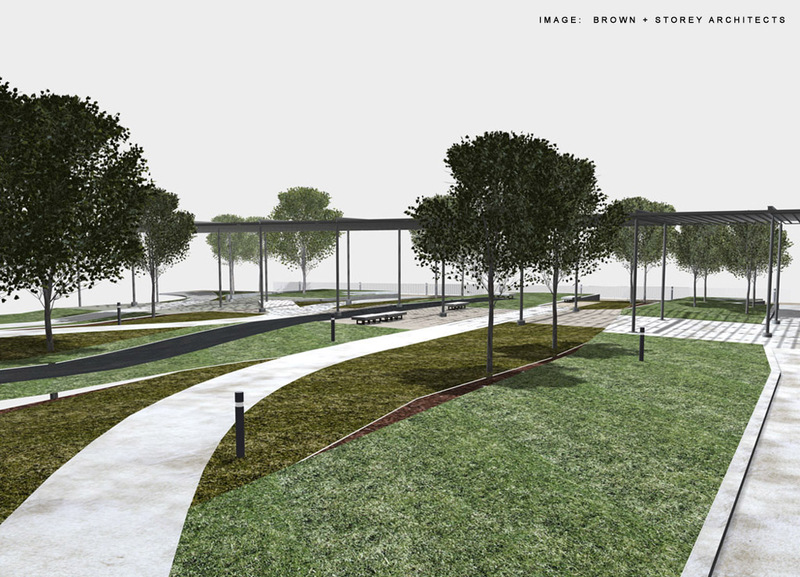 Overlaying the site there is a pattern of pathways, some paved, some grassy, some direct, some indirect, that together create a sense of space and dimension. 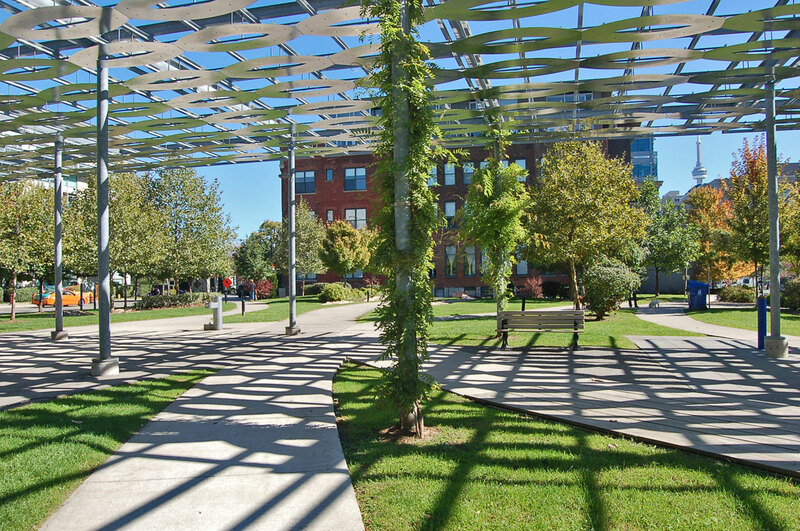 There are relationships created in the interaction and the proximity of the pathways that extend beyond the linking of point A with point B. 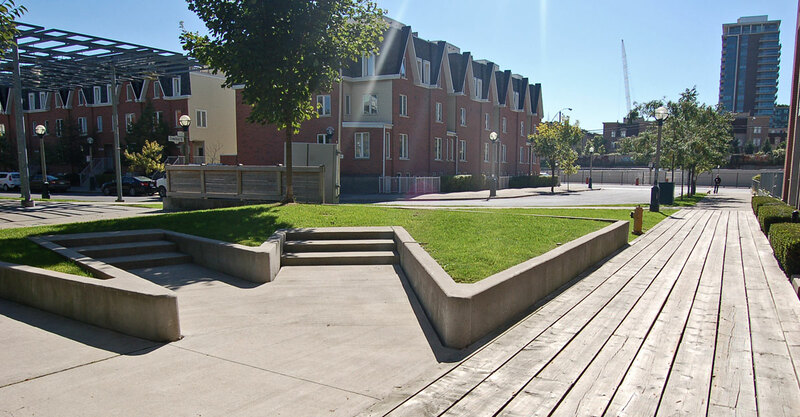 These paths also define a series of small self-contained areas where residents can sit and chat, read a newspaper or simply watch the world go by. 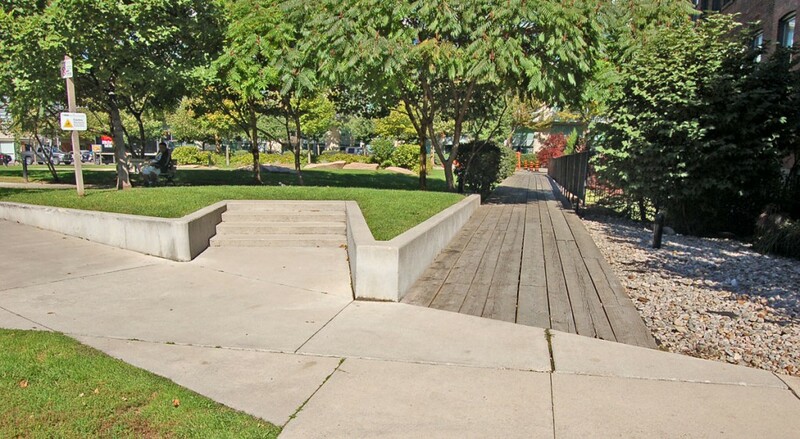 To take maximum advantage of the relatively restricted location, these paths are laid out on an east-west orientation that emphasizes length over width. 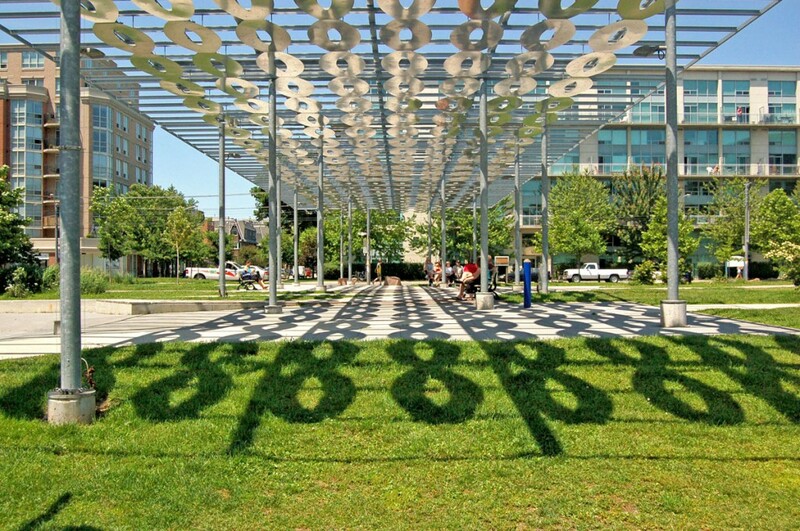 This is also a park that tells a story. 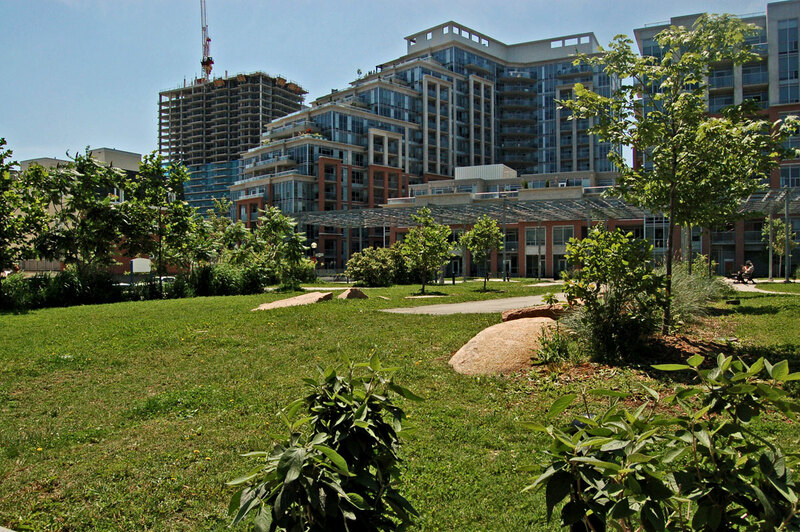 Situated on land long occupied by the Massey-Harris (later Massey-Ferguson) Company, once the world’s largest maker of farm equipment, the site was the manufacturing centre of Toronto and Canada. 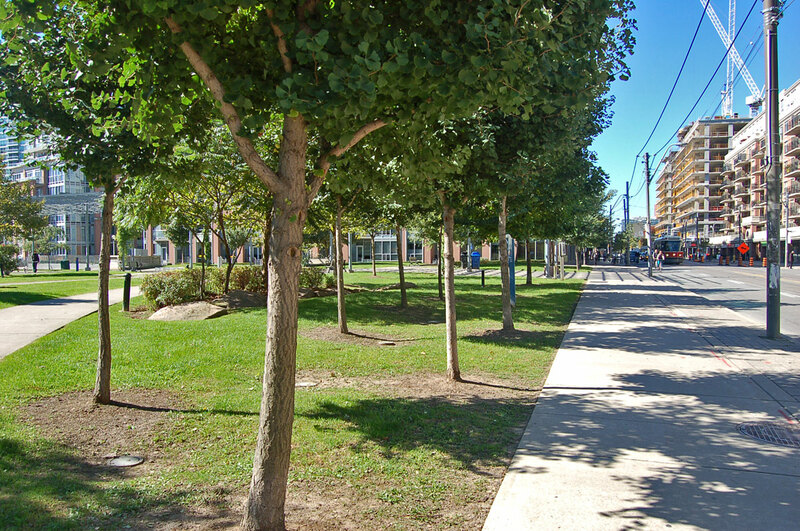 The loose arrangement of paths that resemble a row of ploughed “furrows” can be viewed as a subtle reference to the area’s industrial heritage. 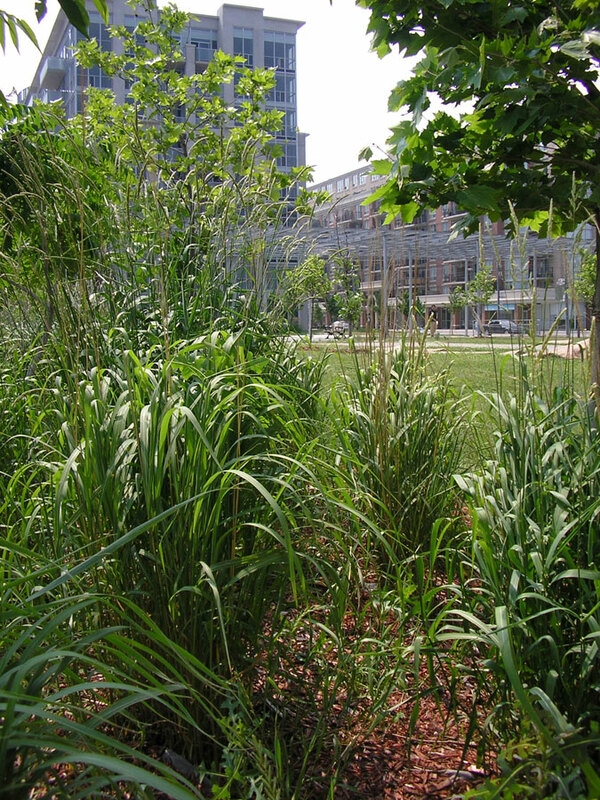 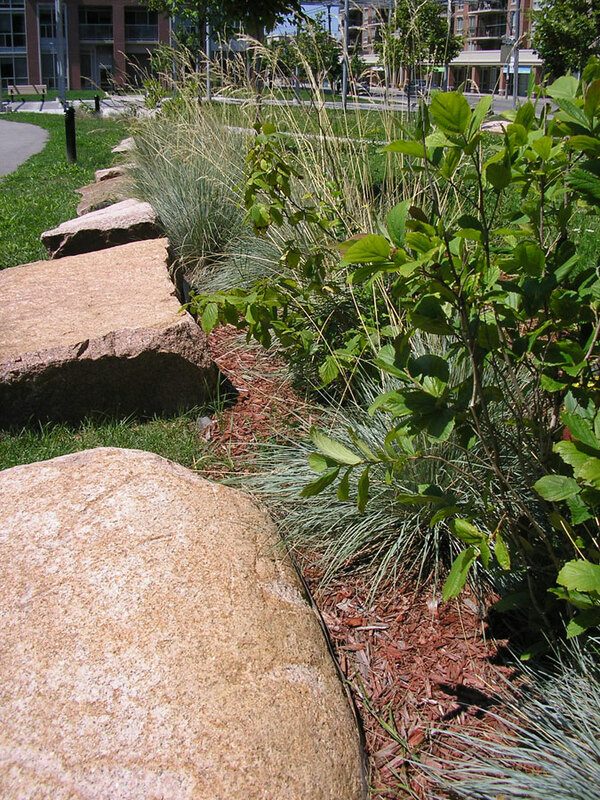 The park speaks, too, of how a city changes and grows. 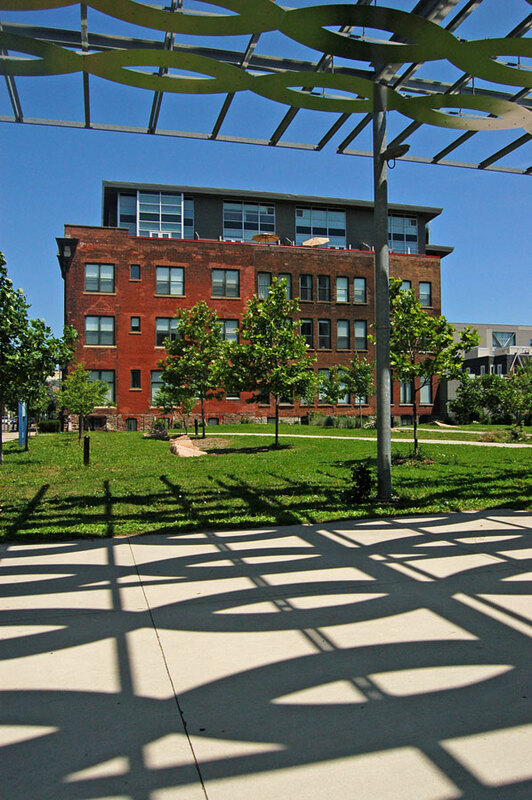 How people now live and play in places where their forefathers worked and sweated. 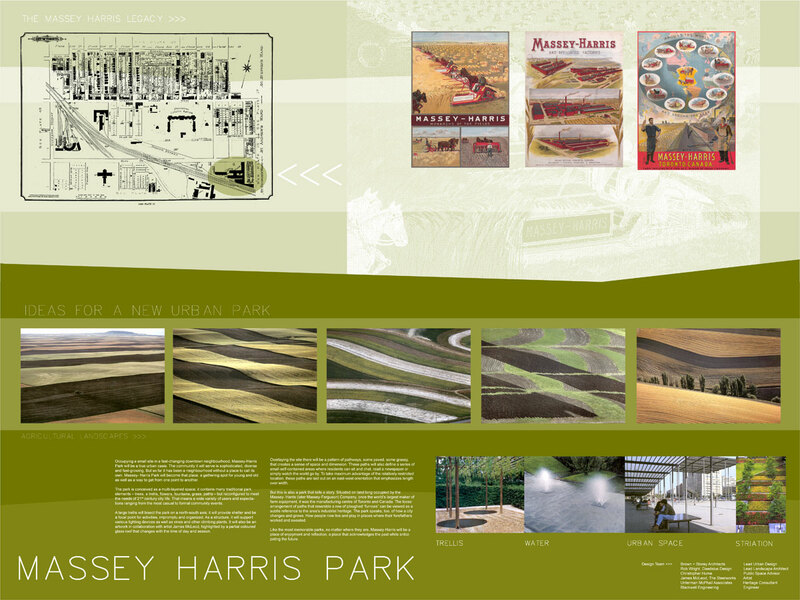 Like the most memorable parks, no matter where they are, Massey Harris is a place of enjoyment and reflection, a place that acknowledges the past while anticipating the future. 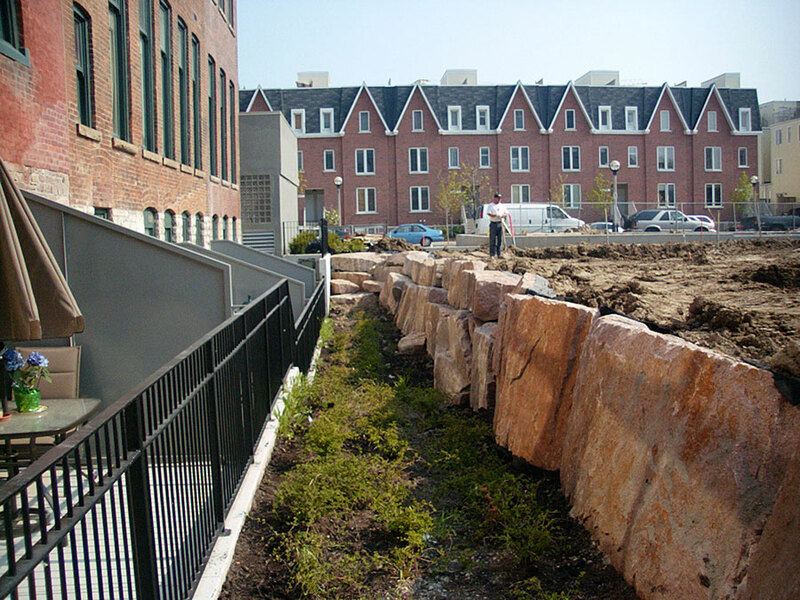 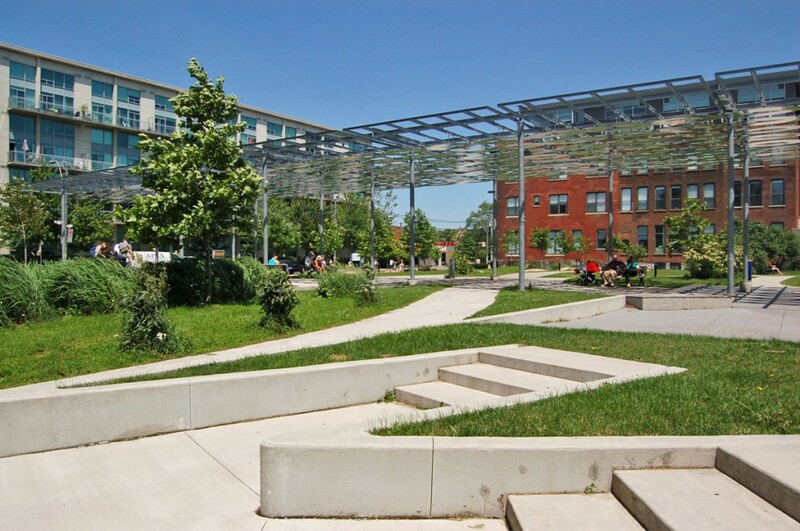 A neighbourhood park built as part of the large-scale redevelopment of the former Massey-Harris and Massey-Ferguson factory lands south of King Street West in Toronto.